The correct TEAM MEMBERS for the job! 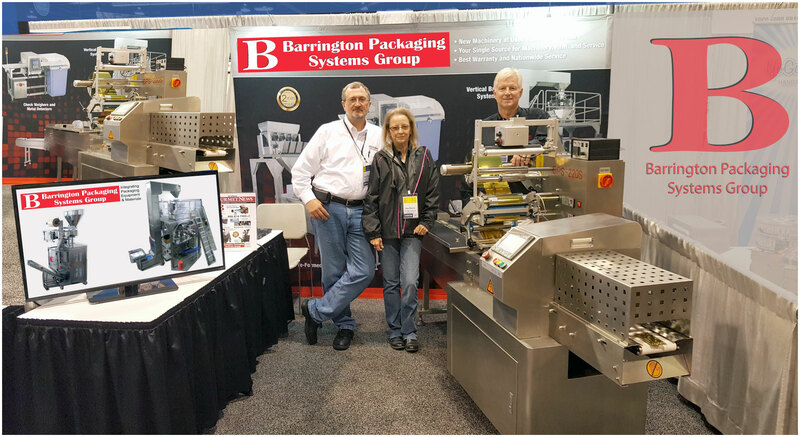 Barrington Packaging offers affordable, high-quality solutions for all of your packaging equipment needs. Our focus is Equipment and Films that help you increase your profits by reducing labor costs thru competitively priced packaging equipment and protecting those products with packaging films. All Barrington Packaging systems are designed to reduce labor your costs as you design for your very own specialized needs. 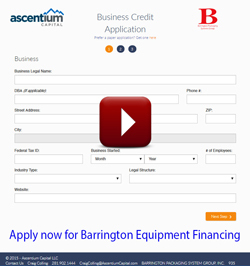 Check out our financing solutions that will help you GROW your Business. Call 888-814-7999 ext 1 and ask us about our many financing options from our strategic partners. Ascentium Capital is the largest private-independent finance company in the U.S. that provides affordable and flexible financing solutions. This, combined with exceptional service, means you have easy access to capital and a fast way to acquire Barrington Packaging Systems Group, Inc. products. *Financing and instant decisions subject to credit parameters. Please contact your tax advisor regarding tax incentives. Neither Ascentium Capital nor Barrington Packaging Systems Group, Inc. is the agent of the other. 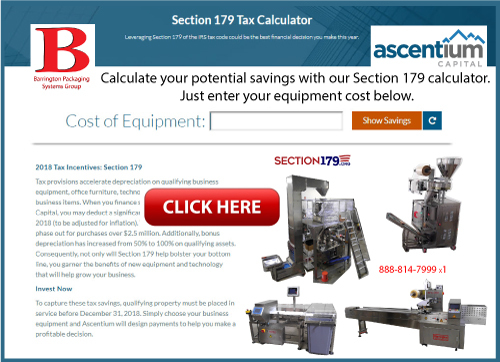 Ascentium not being the manufacturer, seller or distributor of the equipment, makes no representation or warranty on the equipment.